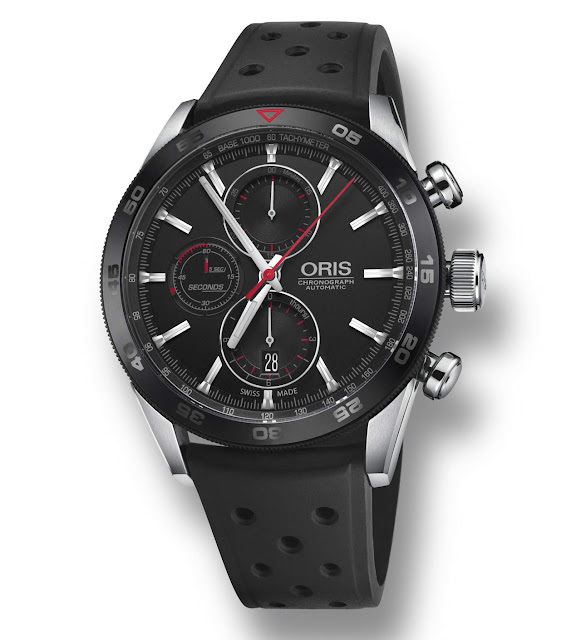 With the new Artix GT Chronograph, Oris introduces a new type of countdown indicator displayed in a vertical aperture appearing on the subdial at 9 o’clock. This indicator is made up of fives squares which are filled in five seconds - one square per second - five seconds before the quarter, half, three-quarter and full minute. Once all five squares are red, they return to white simultaneously. The black dial offers excellent legibility thanks to the generous Super-LumiNova treatment used for the applied indices and the polished nickel hour and minute hands. 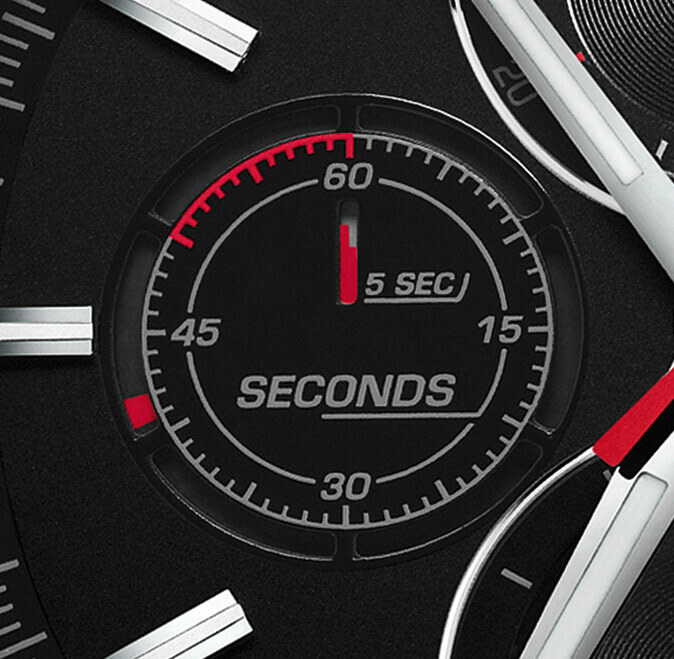 The central stop seconds hand stands out for its red colour. Offering water resistance to 100 metres / 165 feet, the 44mm stainless steel case is enhanced by a bi-directional rotating bezel with a matt black ceramic displaying a minute scale and a rubber grip for precise adjustment. 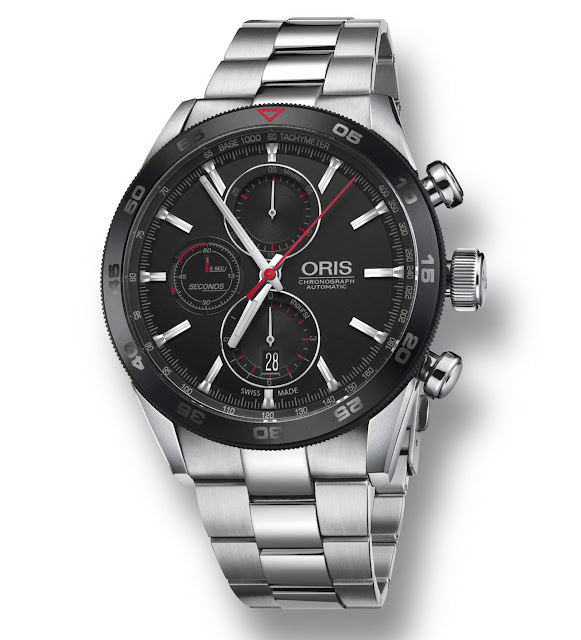 The transparent case back showcases the automatic Oris Calibre 774 (base Sellita SW500) beating at 28,8000 vph with 48 hours of power reserve and its characterising red rotor. 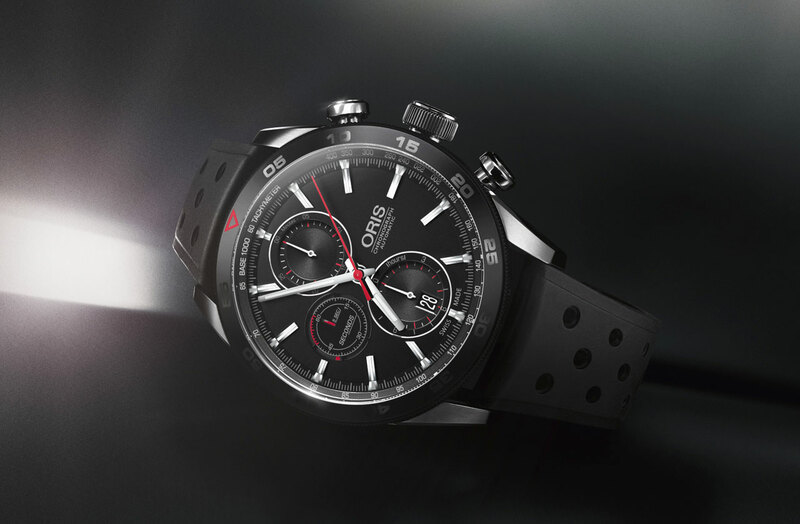 Oris - Artix GT Chronograph. With the new Artix GT Chronograph, Oris introduces a new type of countdown indicator displayed in a vertical aperture appearing on the subdial at 9 o’clock. 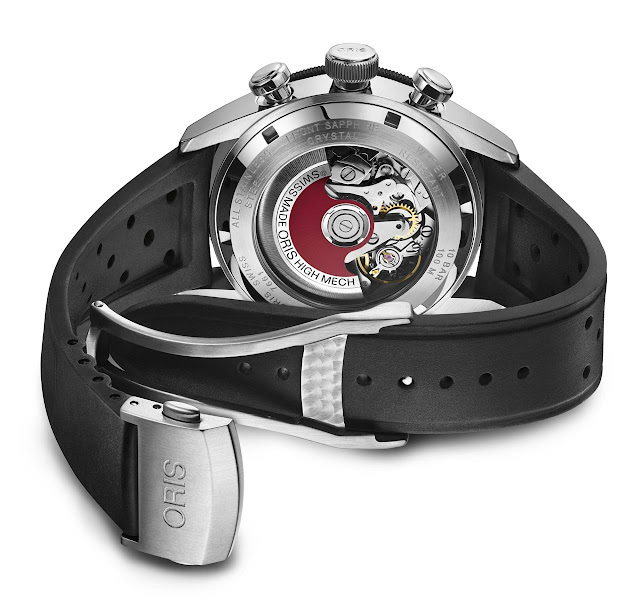 The transparent case back showcases the automatic Oris Calibre 774 (base Sellita SW500) beating at 28,8000 vph with 48 hours of power reserve and its characterising red rotor. The Oris Artix GT Chronograph will be available from August with a retail price of Swiss Francs 3,200.